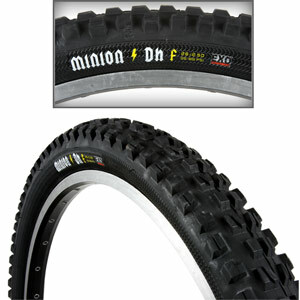 The Maxxis Minion DHF was designed for the often loose and muddy conditions of aggressive all-mountain terrain. 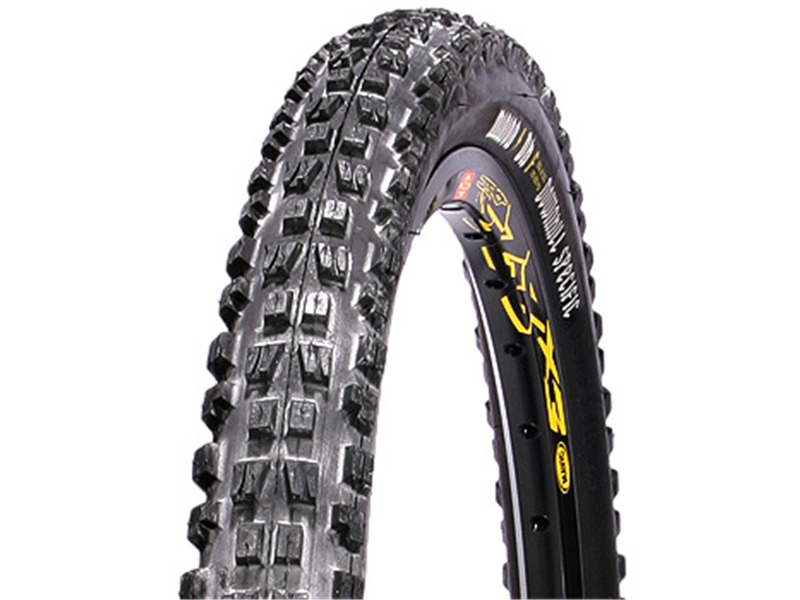 The secret is Maxxis' Supertacky compound with low-rebound but high traction, to help you keep the rubber side. 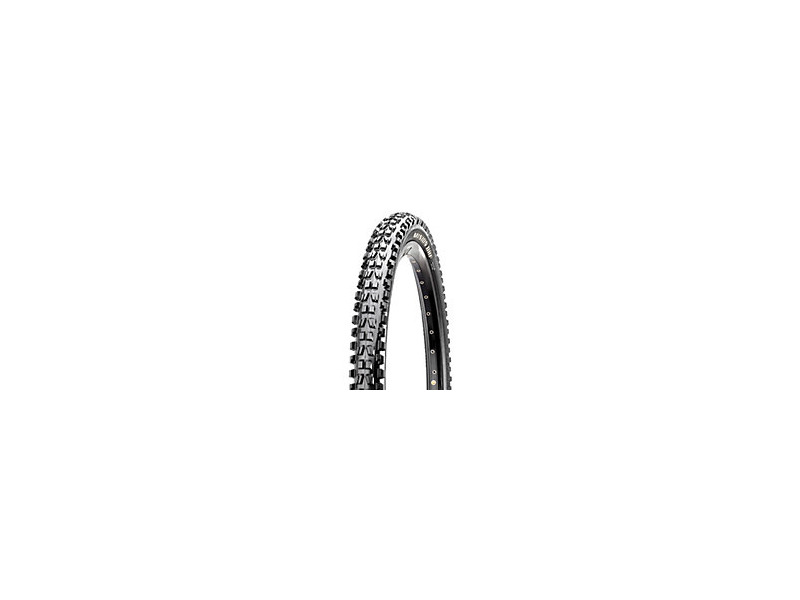 This front-specific tread pattern incorporates ramped knobs for low rolling resistance and channel-cut knobs to increase gripping edges, giving straight-line control and precise cornering. 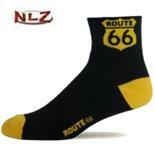 Great for dry conditions, excellent climbing grip. Very good for downhill and freeride. Heavy, and a bit draggy. I have these in a 26x2.35 folding bead. The sidewalls are so flimsy that I lose major confidence when pushing them into corners. And for. 2.35 it's on the thin side. I will be trying to sucker somebody else into buying them and replacing with something different. I run the 2.5 higher volume version of this tire and can get away with 18-20 psi without burping or having the tire tuck under. The traction is amazing! It is heavy in a 2.5, but that is to be expected. So far I am really happy with this choice. Grip is awesome on the central PA dirt/rocks and it was a breeze to mount and get setup tubeless. Price is good, rolls pretty well on hardpack. As a front tire the Minion slides out very easily on anything loose (I only rode dry conditions). It's so bad that I have had to scale back my descents after some serious close calls on loose sections. I have already ordered a new front. This might be OK as a rear, my review is solely based on use on the front. Riding has been on hardpack, loose over hardpack, loose rocky terrain and packed rough terrain. Any time a tire makes me nervous at typical speed, that's no good. very good directivity ,maneuverability and steering grip at most surfaces and conditions. Can go easily at low pressures (I tried up to 30psi) with no any puncture problems in heavy Greek rock terrain. Very good braking and grip information. I tested the Minion DHF 2.35" super tacky in a KTM Prowler AT3 as a front tyre.The tyre was that was I expected to be. In MOST conditions is a grate tyre. It is not the best tyre in wet gravel and in clearing from mud but it is over average in these conditions. At cold temperatures these tires become stiff and lose their grippy-ness, very much like "summer only" tires for cars, they should come with a warning saying not to use below 35 degrees. 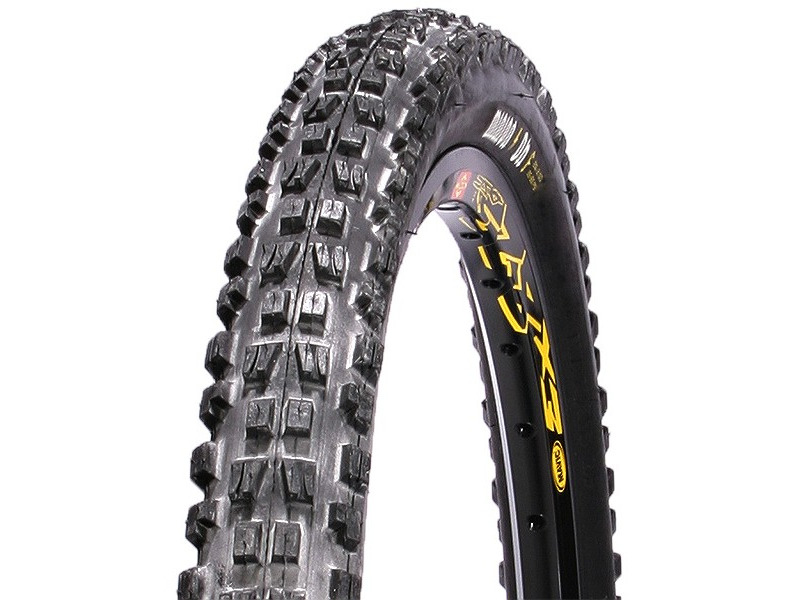 This review is for the 2.5" 29er 3C EXO tire. 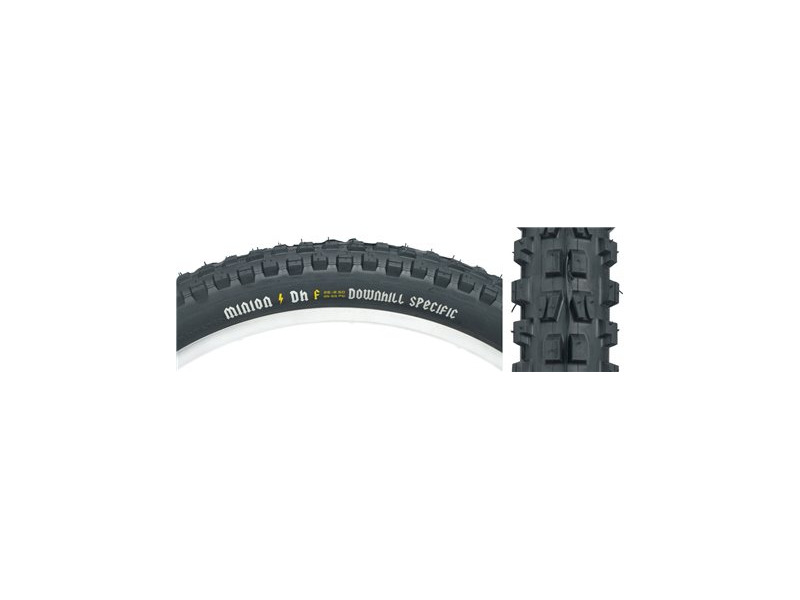 I bought these as a fat and knobby tire that would get me through snow and slush. I hoped that the super soft compound would stay soft in freezing temperatures. However, at -5 degrees F they turned hard as plastic. Plastic tires do not grip anything. At temperatures above 25 degrees they did okay, but the rubber is still much softer above 35 degrees. As a test I left my continental race kings with the black chili compound outside and even at -5 F they were still soft. I think as a snow tire, I would have been better off with black chili compound or other compound that stays soft in the cold. I do think they will be a ton of fun in the summer though. Yes, these tires are heavy in this size, but I wouldn't have expected different for such a massive tire. 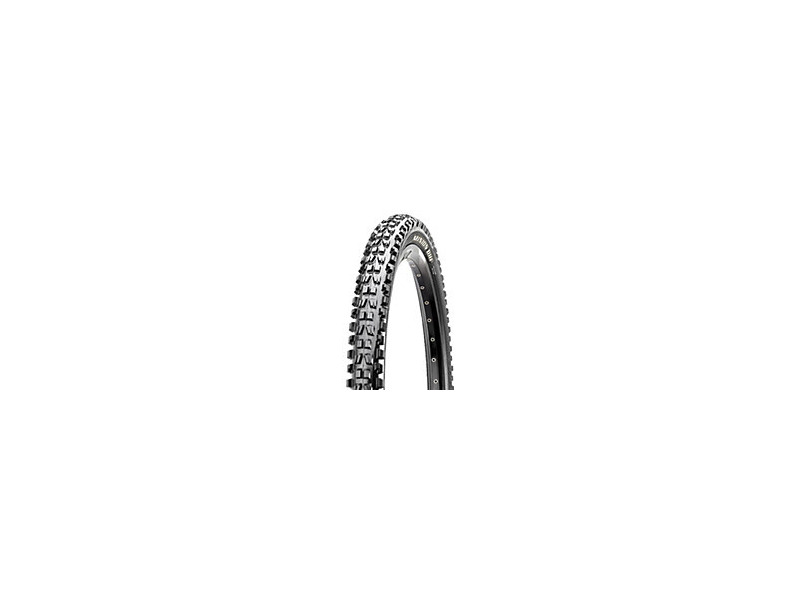 Oh, and they were really easy to mount tubeless on my Stan's Crest rims. On the 21mm internal rims width, the casing width was 58mm. The outer knobs are 63mm wide. This review is for the 2.35 single-ply foldable maxxpro DHF. I use it as a front tyre on my hardtail coupled with a Panaracer Fire xc on the back. The DHF performs as promised, offering tons of grip around corners and especially rewards a more aggressive approach. When it lets go it slides predictably and soon finds traction again. 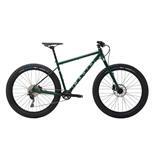 I've ridden with it on rocky terrain, very loose conditions, hardpack, even thick mud, and only the last seemed to challenge it's grip when pushed. It still clears gloop well if you don't go too slow. Rolling resistance is small for such a knobby tread, but I wouldn't run it on the rear for xc rides. 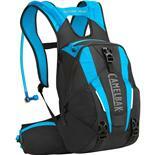 The casing feels quite supple and absorbs trail chatter effectively when run at lower pressures. Breaking traction is excellent weight is reasonable too. Size is nowhere near 2.35, mounted on a 19mm internal width rim it measures ~2.1in. 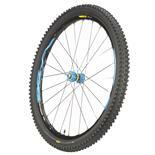 Sidewall is on the light side, best suited to xc/trail use. On wet slippery rocks and roots the hard rubber is not optimal, the softer version would be a better choice. 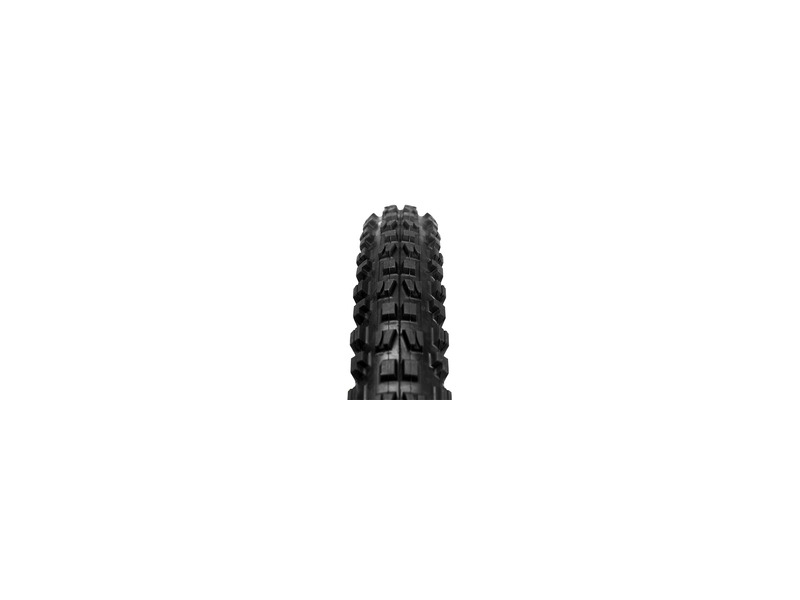 Exceptional aggressive xc/trail front tyre, esp on the dry side of things. Misleading size label though. Size is out a little. Side knobs begin to tear after a while. Weight is fair. This review is for 2.5 ST minion 2 ply. While you are cornering fast, you do have to really lean into the tyres to get them to grip, sometimes they hold, let go, then grip again. No complaints for the almighty minion! Weak and very thin sidewalls. 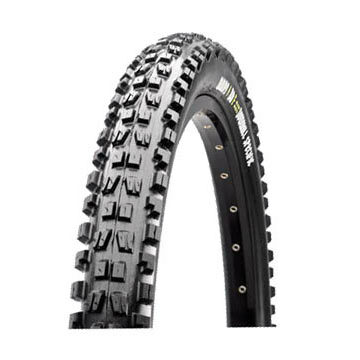 I've had Kenda Nevegals on my bikes since they came out, I decided to try the Maxxis DHF tire as everyone raves about them. The sidewall ripped on the first serious ride, Oh well back to the Kenda Nevagals which have never torn a sidewall.